It seems as though GameStop are struggling to sell Xbox Ones, one NeoGAF user found an interesting marketing angle being used when he went into his local GameStop today. 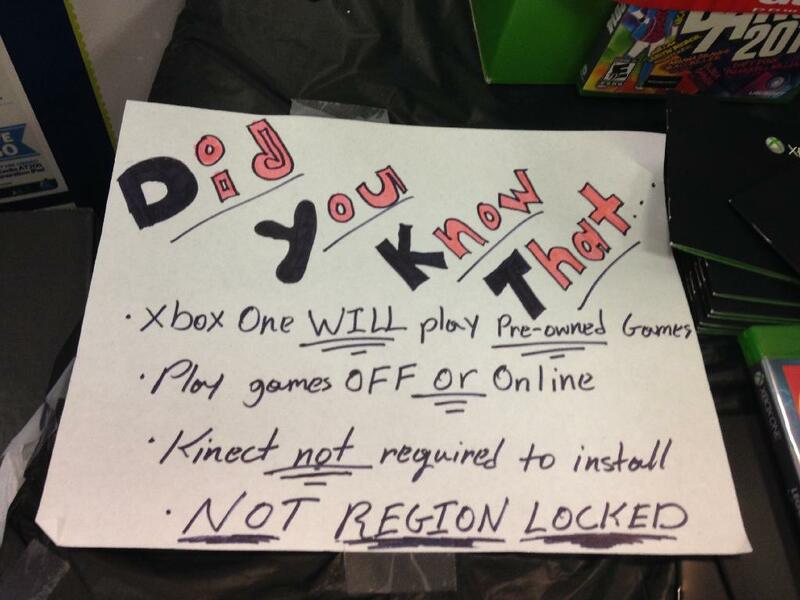 The staff have made some prison art style signs that steer customers off some of the false Xbox One issues. It also seems like the employees are pushing for Xbox One sales, giving negative feedback on the PlayStation 4 systems one employee apparently even said that he uses his PlayStation 4 as a stand for his Kinect, because it has no games. The amount of stock is similar in most places, Australia and the UK. Everywhere you turn people have them in stock. Do you think Microsoft simply made more stock? It’s hard to say, but let’s be honest Sony are almost definitely winning the war right now. There’s always time for that to change though.